Say hello to these new Plastic Free, Self-Fill Tea Bags. 50/pack. A perfect companion to our loose leaf teas! 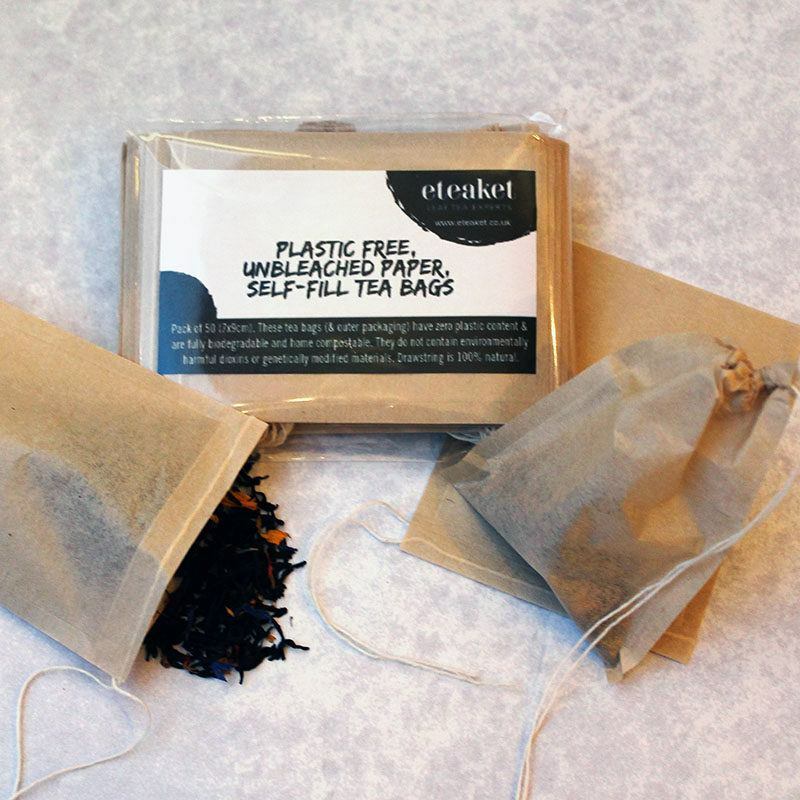 These plastic free, self-fill tea bags are created with an unbleached paper and a handy 100% natural drawstring. Both the tea bags and the outer packaging have zero plastic content and are fully biodegradable as well as home compostable! They do not contain environmentally harmful dioxins or genetically modified materials. This pack comes with 50 tea bags, therefore they will keep you going for 50 cups or more! (Depending if you like to re-dunk, as some people do). Simply scoop 1tsp of our loose leaf tea into one of these tea bags, pull the drawstring closed and then steep for the required time. Delicious tea, plastic free!